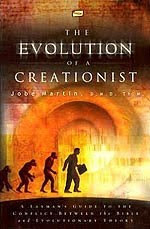 Can the Bible's six day account of Creation be harmonized with Evolution's billions of years? Maybe it can be if there was a gap of time within the Creation account? Or, maybe there were really two different Creations, one millions of years ago while the other was only 6,000 years ago? 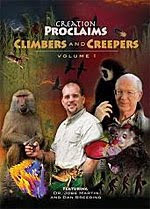 These puzzling questions concerning Theistic Evolutionist attempts to harmonize the Bible with Evolution were brought to Dr. Jobe Martin, former dentist, professor and Evolutionist. Having clearly seen God's eternal power and divine nature from what has been made (Rom. 1:20), Dr. Martin came to faith in Jesus Christ and a trust in the biblical account of the six days of Creation. He and his wife Jenna Dee have since formed Biblical Discipleship Ministries based in Rockwall, Texas to teach on campuses, classrooms and churches that we can trust the Bible's account of the Creation and Jesus as Savior. Now, if you are a Theistic Evolutionist, that means you believe what Evolution says about things. What's the problem there? Well, then you would have to say the Big Bang happened, and then next we have the first generation stars and then second generation stars. Then millions of years later we've got planet Earth. But, God said that He put planet Earth here first. So, what was first, planet Earth or the stars? 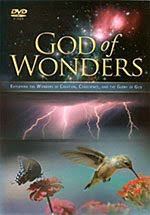 God says that He made birds on the fifth day and reptiles on the sixth day. Evolution says, "No, reptiles came first and then the birds." The Bible says by Adam's sin came death (Rom. 5:12-21; 1 Cor. 15:21; Heb. 2:14). A Theistic Evolutionist would say there's been all kinds of death coming all the way up to Adam. And so, that would mean that the sacrifice that Jesus had to make on the cross because Adam sinned would have no significance at all. The Gap Theory states there is a big gap in the Genesis account that isn't accounted for there, missing billions and billions of years. With the Gap Theory we've got a problem. Theistic Evolutionists say there is a gap between Genesis 1:1 and Genesis 1:2 — in the beginning God created the heavens and the Earth, and then gap, and then the Earth is remade. Well, what do we have? That means we still have a pre-Adamic race of people. That means people are living and dying before the Bible says here comes death (Rom. 5:12-14). They change the words of Genesis 1:2, "And the earth was without form, and void." They say instead it became that way. They change the normal translation of the verb. And so, they are saying that this Earth covered with water is like a flood judgment. Well, the Bible never talks about two flood judgments. It only talks about one flood judgment — the flood judgment of the days of Noah. They're putting something in there because of the influence of Evolutionary thinking of the billions of years. They've decided they have to get that in there somehow and just put billions of years right there between Genesis 1:1 and Genesis 1:2. They don't have to do that. Special Creation always carries with it the illusion of time. If I go and I create a tree and I bring you out and say, "Look, I just created this tree," you would say, "No, this tree is 30 years old." It always carries the image of time. When God made Adam on Day 6, was he a little baby? No, he was a full grown man, just like that. Let's say that Michael the Archangel was walking around in the garden and comes up to Adam, "Hello, my name is Michael." (I am making this up of course.) Adam replies, "My name is Adam." Michael asks, "Well, Adam how old are you?" Adam answers, "Ten seconds. God just made me." He puts Adam to sleep, takes out a rib, and makes Eve. Adam wakes up, sees Eve, and he says, "Eve, you are beautiful! How old are you?" She replies, "Fifteen seconds old, Adam. God just made me just as I am." So, we have to believe that God created fully mature systems. They look old, but they are not old in that sense. Look at Jesus' miracles. What did the Creator do? The Lord Jesus in His first miracle turned water into wine. Well, what was significant about that? John 2 records that after He turns the water into wine, the servants take it to the governor of the feast and he asks, "Where did this come from?" They reply, "Well, it was just water a few seconds ago, and now here we have wine." Well, the wine tasted like aged wine. Now, I don't know how Jesus made it, but the fact is He took water and turned it into something. And, how many water pots did Jesus use? Six. How many days in the Creation week? Six. So what is He showing here? In the same way Jesus feeds the 5,000. He didn't say, "We are making bread, guys, let's get the ovens out here." Notice also that dried fish Jesus is pulling out of that basket. When the soldiers are going to come to get Jesus at the end of His life, Peter grabs a sword and aims to chop the fellow's head off. I think the fellow ducked as Peter only got his ear. Jesus picks up the ear and puts it back on — no scabs, no stitches, no healing, no time. So, if we are going to believe the Genesis account as it's written, we have to believe we have a God that doesn't need time. He is above time. He created time. He can do things that look like they need time, but they don't need time. One of the arguments Theistic Evolutionists will use for a Creation and a Re-Creation is that God changes His name. Genesis 1 consistently uses "Elohim." God did this, said this, made this. Then, in Genesis 2:4, now He changes His name and uses "Yahweh Elohim," meaning "Lord God." And so they say, "Ah, there has to be two biblical authors and therefore two Creation accounts." Well, why would God change His name after being so consistent? The answer — different purposes. Okay, in Genesis 1, God creates the universe with the climax the creation of man. In Genesis 2, God takes man into marriage. Okay, "Yahweh Elohim, the Lord God, the covenant keeping God" — He changes His name to that in Genesis 2. The covenant keeping God is going to take man into his covenant keeping relationship. And so, there is a different purpose in the use of the different names. Actually, Gen. 3 is very prophetic of where the 'earth-dwellers' [the lost] & a lot of Christians are still stuck...'The First Slanderous Lie'. "Did God really pull that line on you...and you fell for it? Dude, He's got ulterior motives! He's holding out on you 'cause He doesn't you to find out that you can to where He is on your own, without Him!" >son of thunder said..."I think I read somewhere that John Hagee is a theistic evolutionist. Anyone know anything about that?" >hartdawg said..."he is very dogmatic about some issues tho." No problem here!! !...When ever I read the Bible, I get the distinct impression that God is "very dogmatic about some issues"...! There's no evidence either way, so I don't think we need to be dogmatic about this particular gap theory--unlike ones that assume there are humans and other animals on the Earth in the gap.